To be around acclaimed psychologist, behavioral economist, researcher and legendary Duke University professor, Dan Ariely, is to be in the presence of a man, a father, a husband awash in the zest of life, emanating near-infectious levels of vitality, energy and joy. He is emotionally and intellectually alive, driven by an insatiable, almost child-like curiosity. As we spoke in 2012, his bright orange and blue Converse All-Stars sat off to the side, the words “predictably irrational” embroidered on the sides. To be swept up in his deep love of life and work is a joy, creating a sense of immediate ease that disarms the more programmed response you feel upon seeing the vast fabric of scar tissue that wraps some 70% of his body. Coming of age in Israel in the 70s, Dan was preparing an inflammatory mixture for a “fire inscription ceremony” his senior year of high school when the materials exploded onto him instantly incinerating much of the skin on his body. He spent the next three years of his life in a hospital burn ward. Every day, his body, which remained largely wrapped in gauze that served as a makeshift barrier where skin no longer existed, was forklifted into a tub of iodine. The daily soaking, a somewhat futile attempt to loosen bandages that had become glued to the body by congealed fluids and blood, was a set up for the excruciating tearing away and replacement of every bandage. Every day, the same ritual would be repeated. The screams, he recalls, were horrific. Not just his, but those that came from rooms and walls around him. Oddly, this terrifying ritual became his muse. He wanted to take the bandages off himself and control the speed, believing it would hurt less if he could do it more slowly and be in control. To control the pain, each patient would have a daily budget of morphine. He began to notice that, at times, nurses would respond to calls for the drug that seemed to exceed a patient’s daily allotment. Certain patients, he discovered from a nurse, would receive saline in the guise of morphine, but experience the same relief as if they’d been hit with the powerful pain medication. He became fascinated with the placebo effect, how people experience pain. These experiences peaked a growing curiosity in the irrationality of the human experience that eventually led him to study psychology and craft a career defined largely by a mad pursuit of experiments designed to mess with people and see how they’d behave. As he shared his “origin story” several decades later, now a married father, revered researcher, bestselling author and speaker and beloved teacher, my eyes would occasionally follow Dan’s animated hands, tracing the deep scarring that remained up his arms and across his face. Though it limited his mobility and remained a source of lessened, yet still present pain, Ariely shared how he experienced it as a constant visual reminder of both where he’d been and the work he was here to do. Ariely’s own body serves a constant visual and sensory reminder not only of where he’s been and how bad things can get, but also where he is now and much grace and joy and happiness is available in each moment. It’s cultivated a deep sense of gratitude for the life he has, for every moment he’s not in pain, for every little thing that adds joy. And, in his case, the experience has fueled a relentless and joyful curiosity about human nature, why we do what we do and how to better understand our own hang-ups and irrationality as a way to both live better lives, but also maybe forgive our own humanity and lighten up. Ariely exists in a persistent state of “grateful yearning.” Simultaneously grateful for the smallest moments, yet constantly yearning to learn and grow. Not complacent or relaxing into the notion that this is what my life had provided, let me cherish what I have and rest there. These two words, grateful and yearning, seem at first to be in tension with each other. How many times have you been around someone and wanted to say “would you just shut up already, stop complaining about everything and be grateful for what you have?” How many times have you been that person? I remember the day my daughter came home from pre-school and shared what she’d learned. “You get what you get,” she offered, “and don’t get upset.” How wonderful that you’re learning about gratitude and appreciation, I thought, and how terrible you’re learning about complacency and surrender. Can’t you be grateful, deeply and truly for whatever is delivered into your life, noticing and receiving fully every moment as a blessing, yet at the very same moment, be driven by discontent, a yearning for something more? Is that really in conflict with the experience of gratitude? We seem to be growing up in a world where gratitude is good, something to be cultivated, and discontent is bad, something to be buried. This same tension, by the way, appears to exist in Buddhism. The idea that we should embrace the present, be deeply aware and appreciative of what is and not attach to any desire or yearning for something different, something better. Yet, the people I’ve come to know who seem to live the fullest, contribute the most and exist in a state of near constant immersive joy are the ones who hold this unusual duality. A profound gratitude for what they have, bundled with a relentless yearning, a certain contended discontent. Looking deeper into the words and action of certain renowned leaders in the Buddhist community, even there, you begin to see the reality of this ideal at play. Sakyong Mipham Rinpoche, the head of the Shambhala Buddhist lineage, is also a nine-time marathoner, competitive equestrian and fierce competitor on the badminton court. When he runs, he cultivates a sense of present awareness, an appreciation of each step and breath. At the same time, aspires to hit the finish line, both for his own sense of satisfaction as well as for the causes he may be raising money for when he runs. Vietnamese born Zen master, spiritual teacher and peace activist, Thich Nhat Hanh, speaks of the importance of cultivating mindfulness and finding peace, deep appreciation in and gratitude for the present moment. Yet, in the face of horrific suffering and upheaval, he refused to simply accept and be present. He chose, instead, to leave his monastic existence, to act upon a growing discontent and aspiration to bring about a more peaceful reality. Founding what he called “Engaged Buddhism,” he offered a blended path, one deeply reverent of what is, yet also steeped in a yearning and willingness to act to bring about what could be. Many of the world’s great artists, designers and makers work from this same place. Having been trained to see things most others miss, the universe of possibilities for which to be grateful flood in, yet still they experience a deep sense of discontent. A yearning not just to experience more beauty, more art, more life, but to birth it. The team at The Great Discontent, Tina and Ryan Essmaker and Brad Smith, explore this dynamic, sharing soulful interviews with creative professionals across nearly every field. All are fueled by the quest for something beyond their current experience and capabilities. As the host of the the Design Matters podcast for years, Millman has interviewed most all of the leading voices in the creative world. For decades longer, she’s lived, breathed, worked with and known nearly everyone in the field. This same yearning, she shared, this pervasive discontent, existed in all but two, Milton Glaser and Massimo Vignelli, who, at the time she’d spoken, were both in their 80s (Vignelli has since passed) and had very much “earned” their way out of discontent. Though, having had the chance to sit down with Glaser around that same time who, at 85, was preparing for a new show, an enduring gratitude was readily apparent and expressed, but so too was a yearning to try something new. Here’s where my experience to date has led me. The simultaneous existence of gratitude and discontent or yearning is, in fact, necessary for the healthy and full expression of either. Gratitude without yearning all too often leads to an almost delusional complacency, devoid of action and growth and an unwillingness to risk exploration, connection and full expression. You may still hold yourself open to the possibility of new experiences, but are often less motivated to step outside the confines of what comes easily and seek out those same opportunities for growth, expression and connection. And, you’re more likely to label yourself greedy at the thought of yearning for those experiences. Yearning without gratitude is equally destructive, fostering an obsessive-neurotic anxiety, a closing down of awareness and appreciation for the beauty that lies in plain sight every moment of every day. An untethered and relentless drive to know more, become more, have more, do more, be more whose only relief is death. Alone, each holds the potential to be both vice and virtue. The marriage of these seeming polarities, gratitude and yearning, may well be what that allows us to experience the most grace in either. Question is, of course, if you’ve not yet cultivated a state of grateful yearning, or if it was not your particular birthright, can you cultivate it now? It is trainable? Short answer, half yes, the other half probably. Though, it’ll take some work. Gratitude, without doubt exists as an innate state in some. Sadly, for much of my life, this was not me. Left to my own devices, I am almost perversely future-oriented. A friend and founder of legendary presentation-design and storytelling firm, Duarte, Nancy Duarte seems to share a similar orientation. She once told me how her job was to predict the future. To constantly look to where she believes the market will be three to five years forward, then do what was needed to lead the market there. I asked if that potentially-consuming level of future-orientation diminished her ability to enjoy what was before her. It’s a challenge, she owned, especially with her firm’s explosive growth, but she’s also equally committed to honoring the beauty in her life at every step along the way. Driven by faith and family, she’s worked side-by-side with her husband for more than 30 years. She surveys the floor at Duarte headquarters, as we speak, and offers the term la famiglia Duarte to describe her employees. She sees where she’s going, but also cherishes where she is. For years, I had trouble with the present gratitude side of the equation. I think most entrepreneurs, artists and makers do as well. As a kid, I’d destroy every canvas I would paint that didn’t rise to my impossible standard of perfection. This yearning drove me to improve quickly, but also left me perpetually wondering when I’d be “there.” That place where I’d finally earned the right to be grateful. To be content. I’d become so obsessed with becoming, I lost the ability to find the grace in being. At some point, I began to realize, there is no there there. I am wired to learn, to grow, it is my number one strength on nearly every assessment I’ve taken. I wake up and see possibility, endless opportunities to explore. Yearning is in my DNA. My work, then, has been to learn, also, to love every imperfect step along the way. For me, this has been a gradual awakening, born largely of some pretty fierce self-discovery and a daily mindfulness meditation practice. Over time, a daily mindfulness practice allows you to zoom the lens out, touch back down into your life and find a certain grace in the moment. It also trains you in the art of dropping destructive storylines and distractions. Of course, it connects you with what’s wrong as well. It’s not so much a salve as it is a window to presence and clarity. In this way, it gives you the opportunity to see more of the truth of your circumstance, but it does not relieve you of the need to then choose the story you wish to tell about it. My mindfulness practice does nothing to quell the yearning to learn, nor do I want it to. But, it does allow me to see and be with beauty more regularly along the way. To spend more time in that shared space of grateful yearning. In addition to the longer-term shift to intention and gratitude that often accompanies a daily mindfulness practice, a far simpler, well-researched and scientifically-validated exercise is the daily gratitude journal. End each day writing three to five things for which you are grateful today. It can be as simple as “I woke up with warm blanket this morning” or “I had shoes to wear today.” If you had a particularly hard day, inventory the simplest things that went right. Seems almost absurdly simple, but the effect is often immediate. Morbid as it sounds, exploring your own impermanence can also be an extraordinary generator of gratitude. You may be in pain, you may be sad, you may be angry, you may not be where you want to be, but the simple fact you’re here to experience that discontent is evidence you’ve got at least one thing to be grateful for. You’re alive. One day, you don’t know which, that will end. So, too, will this be the case for those beings and things you hold most dear. The yearning side of the equation is, at once easier, while also being a bit more complex. Easier, because we all tend to enter adulthood wired more for discontent and desire than gratitude. We all want something, even if we’ve buried the emotion because we believe we either can’t have it or aren’t worthy of it. The greater challenge is that we’re often so profoundly disconnected from who we are and what really lights us up, from what cultivates that sense of soulful connection, meaning and vitality, that we end up striving for experiences, things and relationships that, once attained, leave us hollow. We yearn for the wrong stuff. What to aspire to, what to yearn for, how to avoid spending years or decades chasing shiny aspirations that leave you flatlined is all about self-discovery. It’s the inner journey that makes the biggest difference. And, it is a process that’s rarely ever taught, and completely missing from nearly every form of mainstream education. 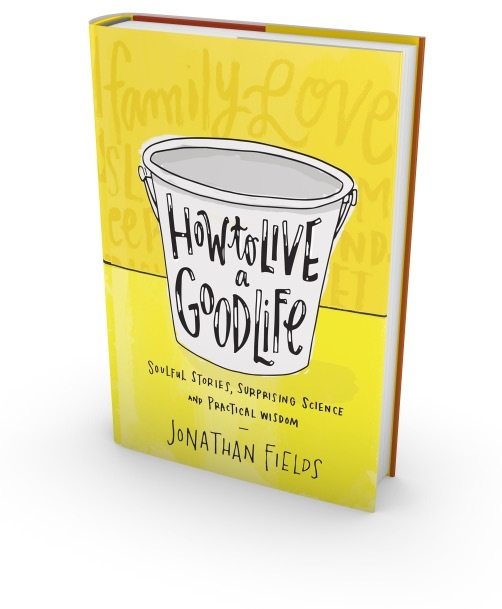 Figuring out what truly matters to you, what’s worth yearning for and investing in, finding your people, your sources of meaning, joy, connection and vitality is a large focus of my new book, How to Live a Good Life. The journey to becoming full is for most, a long-term adventure. Beautiful thing is, when you cultivate the ability to be present, to touch down in your own life along the way, the path of discovery and expression can be filled with equal parts gratitude and yearning, grace and elevation. 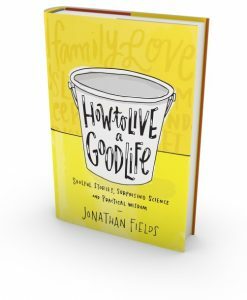 So excited to share that my new book, How to Live a Good Life: Soulful Stories, Surprising Science and Practical Wisdom, is now available for pre-order. Get yours first and help plant trees when you order today! I truly find your words inspiring. And ultimately what can be. I agree with you. But I think labels get in the way of progress. The label of discontent may not be discontent at all, but, instead be grateful for where we are but not at where we aspire to be yet. I don’t know if I would call that discontent. And yearning to me means that you aren’t content until you have what you want. Instead we need a word that, again, would mean we are not where we picture ourselves at, but we are getting there. We are still on the journey, just not at the destination. Yearning and discontent have negative connotations. But the ongoing journey is not necessarily negative, it is an experience that improves upon itself with experience and gratitude for each step taken and anticipation for each step still in front of us. I hope this makes sense. Thank you, Jonothan…I love your exploration and explanation of the dynamic tensions that seem to characterise so many of Life’s paradoxes….secure adventure, stable spontaneity, connected individualism etc…you have advanced my understanding and I am very grateful. Grateful Yearning will be something I think about a lot now. This is a beautifully written piece. I would like to clarify however that Buddhists do aim to accept things as they are and work toward controling their longing for and attachment to people, objects and experiences of desire in order to keep a calm and peaceful mind. However, at the same time we are constantly trying to develop and act upon a powerful yearning to attain enlightenment. So Monks may run in marathons or strive to succeed in other sports, or to establish new learning paths to help others reach enlightenment, but the important thing is that they don’t attach their happiness to the outcome. Their state of mind will remain calm and happy whether or not they reach the finish line, win the trophy or garner a large following, thus they are able to be fully present in every moment and enjoy the ride wherever it may lead. Seriously great job. You have absolutely cleared up a topic that often causes great debate and disagreement. We can be grateful for what we have, appreciating everything, small or big, yet still be driven from that ‘yearning’ within us for something more. A major point is that we can all find things to be grateful for, even during our most troubled times, and it’s important to spend time doing this. When I went blind in one eye, the minute I gave thanks for sight in the other my mindset totally changed as did my life and then I could look forward with positivity and belief in what I could still achieve getting those things I yearned for.